Campaigners who gather more than 100,000 petition signatures could have their ideas debated in Parliament, via a newly launched government website. 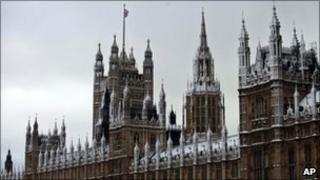 The e-petitions site, which will ask the public for proposals, is aimed at "building confidence" in MPs' work. House of Commons leader Sir George Young said politicians could not afford to be complacent and had to give a "megaphone" to people's concerns. But Labour has said the petitions could lead to debates on "crazy ideas". The system, launched on Friday, replaces the existing e-petitions pages on the Downing Street website, set up under Tony Blair. It allows popular petitions to be discussed by the backbench business committee of MPs, which has the power to propose debates on non-government matters. But some proposals, including those judged to be "libellous or offensive" or "related to honours and appointments" will be barred from the website. Posting more than one petition on a single subject is also banned. Sir George, a Conservative, said: "Today's launch represents another step towards a more accessible and transparent Parliament." He added: "In recent weeks, Parliament has been at the centre of public interest, by leading the debate on phone-hacking allegations. "But this shouldn't mean that Parliament becomes complacent. There's much more that we can do to build confidence in the work of the House of Commons and we should continue to find new ways of encouraging people to engage. "The public already have many opportunities to make their voices heard in Parliament, and this new system of e-petitions could give them a megaphone." However, Sir George said: "Of course, parliamentary time is not unlimited and we want the best e-petitions to be given airtime - so we will monitor the site closely over the coming months to assess whether the 100,000 figure is an appropriate target." Deputy Leader of the House, Lib Dem MP David Heath, said: "The e-petitions website is the latest example of how the coalition is continuing to take forward its programme for government. "It underscores our commitment to reform of the parliamentary process, and will help to reinforce the aim of greater engagement by people in the politics of this country." Petitions will be moderated by government departments, with oversight from the Office of the Leader of the Commons. The plans were first set out in the Conservatives' 2010 election manifesto. Petitions were introduced to the Downing Street website by Tony Blair.